Selecting a quality soft pastel in today’s crowded market is tough. With so many options available and at so many wildly different price points, it can be a bit tricky to find one that will work perfectly for you. However, after hours of research, reading forum discussions, product reviews from other leading websites, and so much more – we feel confident in our list below in determining the best soft pastel for you. Whether you are looking for a soft pastel that crumbles and blends easily, one that produces vibrant results, has quality pigments that make for a good lightfastness rating – like the Rembrandt Soft Pastels, we cover them all. In addition to determining the best soft pastels that produce great results, we also took a look at a few budget friendly picks that would be perfect for both student and intermediate level pastel artists. 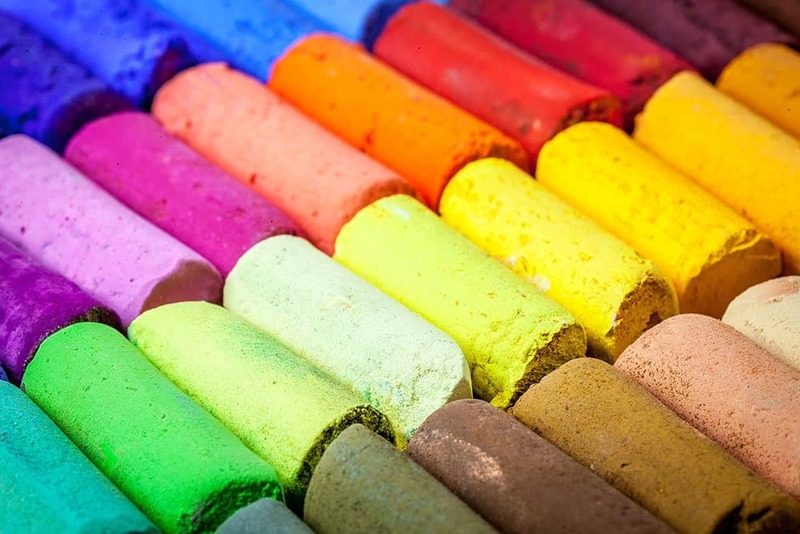 Not only do we review a range of soft pastels that should work perfectly for you, but we also cover a few key buying considerations that you should take into account, along with answers to a few popular questions we saw come up time and time again during our research. So, let’s have some fun together on this journey of finding the best soft pastels for your next planned piece! 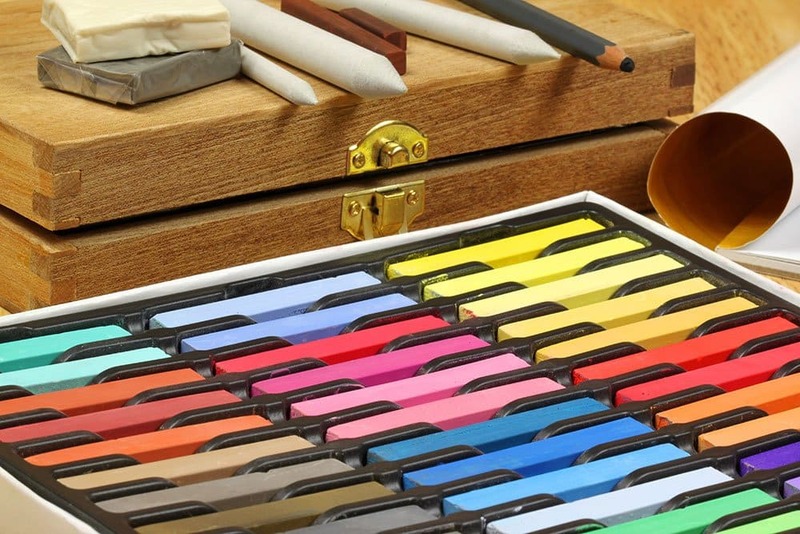 In the wide world of art supplies, you will find that nearly every medium is bucketed into two main categories – artist grade (sometimes referred to as professional) and student grade (sometimes referred to as beginner). From the onset, many novice artists think that the only difference between these two categories is just the price. Artist grade soft pastels are starkly different from their beginner or student grade counterpart. Higher end soft pastels will feature a much higher pigment concentration which will make for much more brilliant results in your piece. In addition to the potent colors, the pigment sources used will also be of much higher quality – ensuring a better overall lightfastness rating which ensures their brilliance for many years after you have finished your piece. Should you be starting out with soft pastels for the very first time, opt for student grade pastels. They are much more affordable and are perfect for practicing with this medium (i.e. techniques, blending, etc.). Now if you are a bit more comfortable with soft pastels and are looking to upgrade from a student grade set, then we would recommend going with an intermediate pastels (i.e. Blick Soft Pastels). 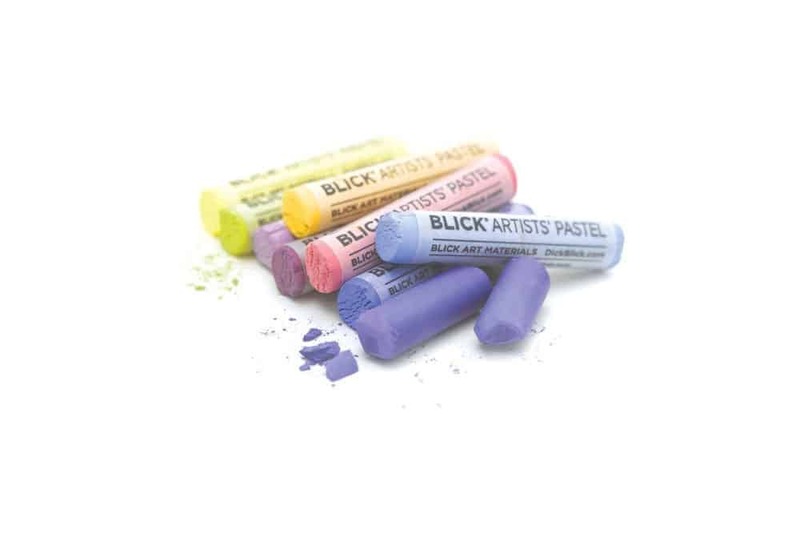 The Blick Pastels show flashes of brilliance without carrying the artist grade price tag found in the higher end sets. The more you have to mix your colors, the more they will lose their vibrancy. Therefore, having a wide color selection at the ready can be incredibly helpful not just from a productivity standpoint, but this also translates to more striking pieces in your artwork. While soft pastels are a fairly accessible medium as they don’t really require all that much in the way of supplies (just a pastel, paper, fixative, and perhaps a blending stump), one way to really build your studio is by having more colors at your disposal. If you are thinking about buying pastels for the very first time, we would strongly recommend going with a set over an individual stick. This way you instantly have access to a large color selection out of the gate and aren’t limited in any way during your artistic endeavors. 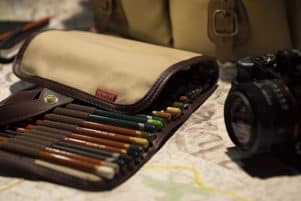 Building off the previous section, you will find that many art companies mentioned on our list make their pastels available both individually and as a set. Both options definitely have their merits. For pastels that are available individually, you have an easy way to restock your pastel with the same exact color. So, should you be working on a large-scale landscape piece and you used up all of the Burnt Umber, you can simply purchase another stick from the same company and have the exact same color and tint in your piece (this is critical for commissioned pieces). In addition to a simple restocking of a pastel color, those sold individually are also a great way to test across brands – especially those that are extremely expensive. 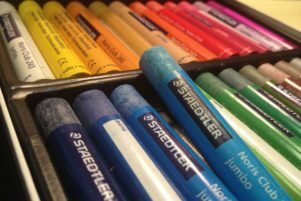 There is no hiding the fact that brands like Sennelier and Rembrandt are highly respected in the world of soft pastels, however, there is equally no hiding their lofty price tag. So, if you want to just see if they are worth the price of admission, you can purchase these sticks individually to see what all the fuss is about. Now switching gears to sets – sets, are not only a great entry into a wide color selection palette (as we already mentioned), but they tend to be priced in a much friendlier way. Typically, when purchasing a set, you can expect to get some discount when compared to purchasing individually. In addition, nice sets that come with a wood box are a perfect way to keep your soft pastels organized and stored easily when not in use. Now one of the things that we kept seeing throughout our research, is that many novice artists were surprised that the soft pastels they received were so messy. This is due to the very nature of how soft pastels are made. They are intended to be chalk like, crumble, and kick up a fair bit of dust. Therefore, you will always want to work in a well-ventilated area to ensure that you aren’t breathing in the pigment and binder, while also not getting pigment on any of the surrounding belongings in your studio. Now if this chalky and dusty characteristic isn’t for you, then perhaps you will want to look at oil pastels instead. They are made from an oil, wax, and pigment mix that essentially “sticks” to the paper much better. In fact we did a full comparison recently between both soft pastels and oil pastels you can read about here. As you may have seen in our comparison table above, soft pastel sticks come in two primary sizes – full stick (typically 2”) or half stick (typically 1”). Depending on both your hand size and personal comfort you may want to go with one sized stick over another. This is largely a personal preference, but one that you may want to consider, especially if you’re a professional level artist. Separate and apart from color selection is color charts. Many of the higher end art companies will put out a color chart of all the soft pastels that they make. This not only gives you a better idea of what you can expect on paper when working with the soft pastel, but also some other key metrics geared towards professional level artists – namely lightfastness, permanence, and pigment sources. 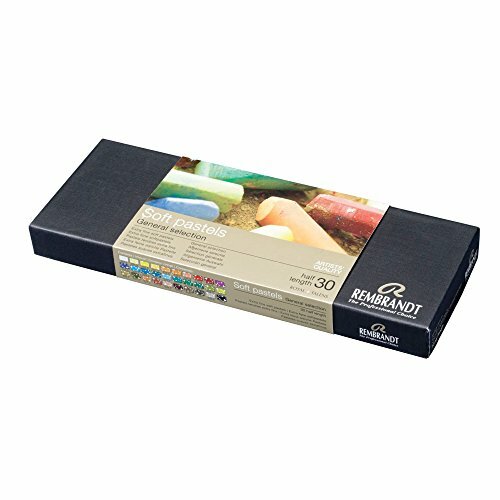 One of the most respected brands in the world when it comes to soft pastels will be the Rembrandt line from Royal Talens. For over 100 years, Royal Talens has perfected the art of making soft pastels by delivering exactly what artists demand from this beloved medium. Relying on a kaolin clay as the binder, these slightly firm (although not classified as a hard pastel), provides the artist with uncompromising control when making strokes on the surface. As great as the stroke work of these pastels may be, the unique binder crumbles with ease making for terrific results when blending. While the composition of these half sticks (1.375” in length) are perfect, another equally standout feature will be the pigment quality. With 61 of the 218 colors having a lightfastness rating of at least 25-100 years, and the remaining 157 colors with a lightfastness rating of at least 100 years (best possible rating), these pastels will never lose their luster during your lifetime. Ensuring that the piece you make today will continue to look its absolute best years down the road. For the artists out there that want to review the pigments and swatches, like any quality art company, Royal Talens makes their color chart available for reference. These soft pastels are available in both set and individual form – which makes restocking easy. Overall, it doesn’t really get much better than this. If you want artist quality and don’t mind paying a little extra, then you won’t be disappointed. There’s a reason why many of the top pastel artists of today trust this brand – they are just that good. 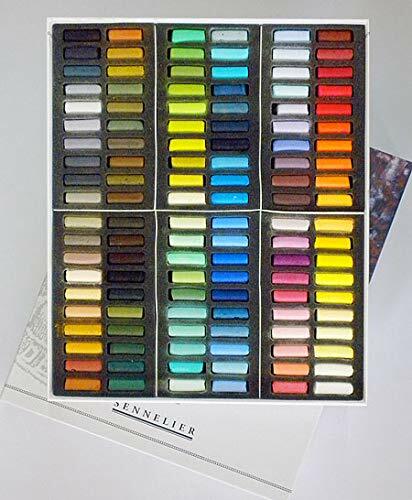 There are only a few brands in the world of the pastels that bring such instant name recognition and clout as Sennelier (the other two being Holbein and Royal Talens). Located directly across the street from the Louvre – French based Sennelier has been making art supplies for world renown artists since 1887. In fact, famed artists like Cézanne, Gauguin, Picasso, and Van Gogh all used Sennelier products (source). Now it’s one thing to live off the name of artists who lived long ago, but it’s another to carry on the legacy! As you have rightly guessed, Sennelier still hits a home run with their soft pastels. Making one of the widest color selections available to artists with 525 colors in total, yes you read that right, and no, it wasn’t a typo – they allow you to easily select the perfect color for your piece. Beyond the insanely wide selection of pastels, Sennelier also has uncompromising quality in regard to pigment purity, lightfastness ratings, and permanence. For the artists out there that shop by color chart, here’s a look at the Sennelier lineup (warning – it is in French). If there were any major sticking points with these pastels it would be around their price. With a cost per stick at $4.95 each – they are expensive when compared to others. In addition to the individual cost, the set prices don’t provide much of a savings either. When looking at their larger sets, particularly the 525-piece set of all their colors, you will have to reach deep in your pockets and pay over $1,000 for their entire lineup. Overall, if you want uncompromising quality and have a few commissioned pieces planned, then give the Sennelier’s a try. They simply provide beautiful results. 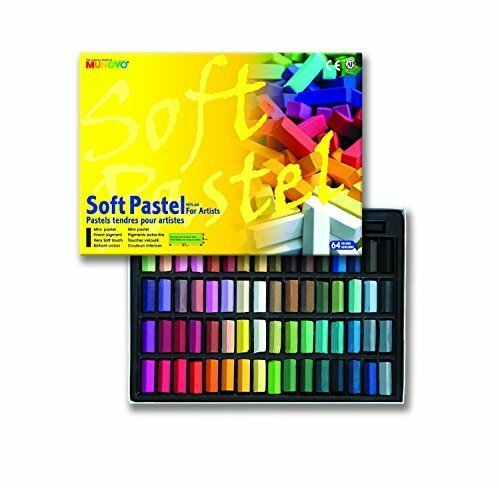 However, if you are still exploring soft pastels and working on techniques, these will likely be overkill. Just about every artist in the U.S. knows of Blick Art Materials as one of the go-to sources for restocking on their art supplies. If you are ever in the Northeast, specifically NYC, we highly recommend checking out their store there as it offers one of the widest art material selections we have ever seen (and definitely a reason to go back and visit NYC alone)! As great as their selection is, one facet that is largely overlooked is their own private label offerings. As an art supply company, they know what artists are exactly looking for in their materials. Their soft pastels are no exception. Like the Sennelier and Rembrandt’s, the Blick Artists’ Soft Pastels feature a finely ground pigment that delivers a final result that is extremely vibrant and bright. This translates to breathtaking results that makes even the most rudimentary of pieces standout. As great as their pigment concentration is, what artists really enjoy is their affordable price point. At about 25% cheaper than the premium brands, the Blick soft pastels are great for intermediate artists looking for a better quality from their pastels or professionals looking to save a few bucks on their art budget (hey, we aren’t all made of money after all!). Available both individually and as a set, if you are looking to upgrade from a brand like Faber-Castell or Mungyo – give these pastels from Blick a look. Overall, they pack a punch given their price point. Don’t be turned off from a ‘store brand’ label, these soft pastels from Blick are a serious contender. Known primarily for their top rated watercolors (which we found to be one of the best), German made Schmincke soft pastels are equally second to none. There is something to be said about German engineering. Their ability to provide extremely precise and consistent products is second to none – and one of the reasons why we wanted to include their soft pastels to our list. With such a low reliance on binder and a much higher concentration of pigment, the results that you get in your artwork when using these pastels are amazing. Given that there is very little binder or “filler” ingredients in each one of their 400 sticks, you get intensely brilliant results that can make your artwork really stand out. But what makes it even better, is that in their lineup of 400 different pastels, they offer many shades. …this is perfect for professional artists. Here you can see the pigment purity and lightfastness rating of each stick (the solid black circle is if the color is contained within their set of 200 pastels). 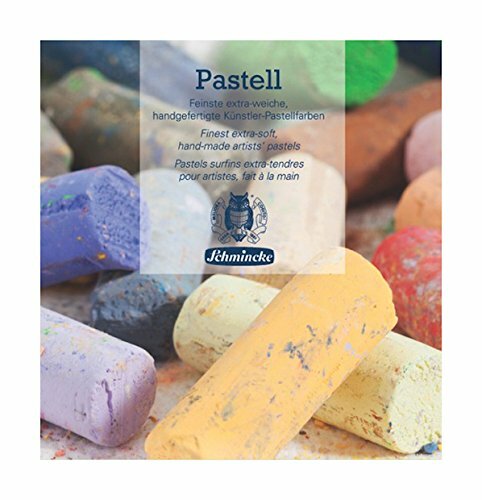 Naturally at this level, Schmincke does offer their pastels in both a variety of set sizes and individually – so if you want to test them out, you will have no problem here. Overall, the Schmincke pastels are a terrific pick. Their high pigment load and smooth consistency make them perfect for professional artists looking for a new pastel for their next commissioned piece. A name that many artists both at the student and professional level are likely familiar with will be Faber-Castell. This 72-piece starter set of half-length pastels (1.125”) will be perfect for students exploring the world of soft pastels for the very first time. With a wide color array of very bright and vibrant colors, it’s a great way to enter this fun medium without breaking the bank. One feature that we (and many other artists) loved about this beginner friendly set was around its blending properties. Whether you like to use a tortillon, blending stump, or simply your fingers, you should have no problem creating subtle effects in your artwork. Now given that these pastels are suited for students, we couldn’t find much information around lightfastness and permanence rating. In addition, Faber-Castell doesn’t sell these sticks individually either. So, should you want to restock on a color that you completely used up, you will have to go with a different brand. 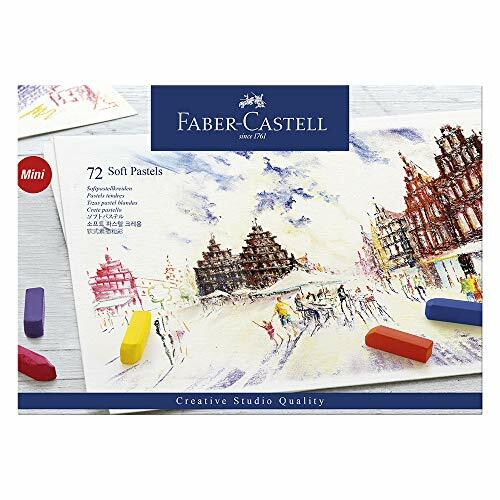 Overall, if you are just starting out or perhaps looking for a gift for a budding artist in your life, then the Faber-Castell’s will make a great pick. When used properly, they can create stunning results. 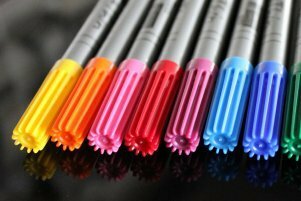 Be it soft, hard, or oil pastels, the Mungyo line is quickly becoming a reputable name in the world of art supplies. Mostly due to their incredibly low prices they charge for their products. 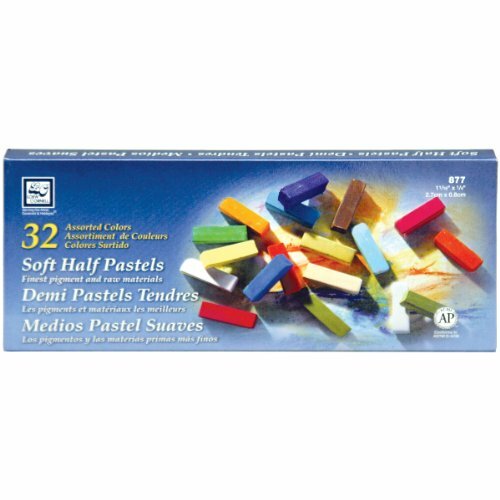 With a sub $15 price tag, you can pick up 64 half-stick pastels in this quite expansive set. Sure, while some artists may have had gripes around poor packaging or shipping, if you are ok dealing with a broken stick of pastel (that would still likely break regardless of shipping), this is a great deal. As we stated in our review of their oil pastels, we had a hard time getting info around this company along with a color chart. So, we are somewhat flying blind when it comes to pigment purity, lightfastness rating, etc. (we were able to find out that they are made in Korea). But, if you are student or beginner that just wants to get your hands dirty and get to making art – these will plenty suffice. Overall, if you are looking for a starter soft pastel set and don’t have a lot of money to allocate to this fun medium, go with the Mungyo’s. They are affordable and provide passable results. Looking around our personal studio we see Loew-Cornell serving just about every medium – brushes for oil paints, pencils for sketching, tortillons, etc. Needless to say, they are a great all-around brand for artists. …and that is exactly what you get with these soft half pastels. With 32 different colors in 1.06” pieces, you have quite a bit of variety if you are looking to just casually explore this medium. While the pastels themselves do deliver quite a chalky and dusty consistency, they will be perfect for achieving subtle blends. Drawbacks aside, these soft pastels are still fairly great for just simple practicing around both technique and line work. Overall, these are a beginner pastel. If you want to try this medium and have a restricted budget (yet still prefer a known brand), then give them a try. Do I really need a fixative for soft pastels? Yes! By their very nature, soft pastels kick up a ton of dust. Not using a fixative can be a disaster for many reasons. If you want to add a few layers to your piece, a light coat of fixative will help to generate a tooth that will allow the pastel to latch on to effortlessly. Given that soft pastels are dusty and chalky, they can easily fall off the surface, especially if they are brushed up against anything. A light coat of a fixative will ensure that it retains both its detailed work and brilliance years after it has been completed. While some thrifty artists like to use hair spray while in a pinch, we recommend going with a fixative that is designed for pastels. It will have key preservation qualities and generally better results – like this one from Sennelier. Can I use regular drawing paper with soft pastels? While drawing paper has a great tooth for your soft pastels to latch on to, nothing will be nearly as good as a proper pastel paper. Pastel paper is like a hybrid between both drawing and watercolor paper. It has a bit more weight and rigidness to the paper while also having a deep-set tooth. The deep tooth of pastel paper allows for much easier blending and simply better control and results in your artwork. Even the best pastel paper won’t cost an enormous amount and should be able to work into any artists budget. Lastly, some pastel artists like to use sanded paper as it provides additional texture and tooth. Given that soft pastels kick up a lot of dust unlike hard or even oil pastels there are some valid health concerns around this medium. However, for the most part they are considered safe. Many art companies today use compound pigments to achieve colors from toxic heavy metals (i.e. cadmium). You will know this as they are often labeled Cadmium Yellow Hue instead of just simply Cadmium Yellow. Of course, if you are concerned about the safety of the pastels you plan on purchasing, always double check with the manufacturer (specifically the MSDS information) to ensure they are safe to use. Many will explicitly state on the packaging itself that they are non-toxic and have an ASTM certification to provide a greater peace of mind. Online will be the best place to order pastels. Not only do online retailers have a much wider selection that their brick and mortar counterparts, but in most cases, better prices too. In addition to the better selection and price, we also found that the pastels we order online (specifically those that are sold individually) come in much better condition that the ones at our local art store. Choosing the best soft pastel in 2018 wasn’t easy. As you saw above, there are a lot of key considerations to take into account in order to find the perfect one for you. However, as tough as it was sifting through the countless options available, we feel confident in our selection, and we think you will definitely like them as well! Now, due to limited resources on our end, there just simply wasn’t enough time to review every soft pastel that exists. If there is a particular pastel you would love for us to review, we want to know. So get in touch with us and share what you love so much about a particular pastel – just don’t forget to leave a product link with the note as well! Lastly, as great as many of the pastels we reviewed above are, the most important part of making art is practice. The most expensive pastels in the world won’t instantly make you a famed artist. So, when the new pastels arrive in the mail, don’t let them collect dust (unless of course its pastel dust)! Keep practicing and creating art daily…and most importantly, have fun making art! Join The Newsletter, It's Free! Hurry! Sign up for your chance to win FREE art supplies that are given away every month. Plus receive great tips direct to your inbox that will help you to become a better artist. 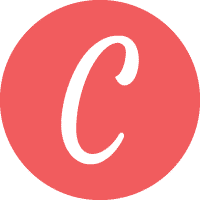 Createlet is a participant in the Amazon Services LLC Associates Program, an affiliate advertising program designed to provide a means for sites to earn advertising fees by advertising and linking to amazon.com. As an Amazon Associate I earn from qualifying purchases.